Situated next to the sea in the South of the Valencian Community,Torrevieja is surrounded by two large natural saltwater lagoons which form the well known “salterns of Torrevieja” considered the biggest in Europe. They are famous for their huge population of flamingos. Torrevieja is 47kms from Alicante, the provincial capital, and about 35kms from the airports of Alicante and San Javier, it stands out for it’s conversion in recent years into a first class tourist centre. The town square is very picturesque, with a small church and street cafes. The are many shops to browse through and boat trips can be taken from the town’s lively harbour - a firm favourite is the day trip to the Isle of Tabarca. Each evening there is a craft market along the harbour front and every Friday there is a huge street market - possibly the largest one in the Costa Blanca. Torrevieja has a population of 81,080 inhabitants and is contained within town boundaries which are adjacent to Guardamar del Segura to the north, Rojales and Benijófar to the west, Montesinos and San Miguel de Salinas to the southwest and the Orihuela beaches to the south. Torrevieja has a protected Natural Park with two salt lakes, and 20 kms of coastline containing six large beaches - La Mata, Cabo Cervera, Los Locos, El Cura, Los Náufragos and Ferris - and about 20 coves with an abundance of cliffs. The climate in Torrevieja is very stable, belonging to the temperate Continental type, with predominantly mild temperatures in winter as in summer. The coldest months are January and February, with temperatures ranging from 12 to 16 degrees and the hottest months are July and August with temperatures ranging from 28 to 35 degrees. The Autumn - from October to December - is the very mild season with temperatures ranging from 21 to 27 degrees. Temperatures are measured in centigrade and this information is well publicised in the media and on lighted signs in public establishments. Torrevieja has a micro-climate which marks it out from other neighbouring towns. The proximity of two salt lakes, work in favour of good climatic conditions with regard to both torrential rainfall and strong winds. A sunny climate predominates for most of the year. Among the opportunities for recreation, relaxation and amusement, the town places at the disposal of all its visitors one of the best Yacht Clubs in Spain, tennis and golf clubs (four 18 hole championship golf courses), a flying club, a horse-riding school, a municipal sports centre (with covered courts, tennis, athletics and sauna) and for the winter months an Olympic sized indoor pool. There is also a municipal football stadium, bull ring, water park (Aquapolis), fairground, theatre, 10 pin bowling centre, huge soft play centre and several cinemas. Terramitica is a fantastic theme park suitable for adults and children alike - the largest in Europe and there are numerous coach trips which run there daily. Some of the best beaches can be found close to town, including Los Locos and Playa Del Cura. Along the front of Los Locos beach there are bars and restaurants with more bars throughout the back streets. There are butchers, fishmongers, spit-roasted chicken shops, bakeries and supermarkets, all providing mouth-wateringly fresh bread, pastries, fish and meat produce. A few of the local restaurants also offer a takeaway service. Just a five minute walk away from Los Locos Beach is the totally pedestrianized promenade and beach of Playa Del Cura, where you can happily watch the children on the beach whilst having a nice relaxing meal in one of the promenade based restaurants at the same time! You will find that most of the restaurants in Torrevieja are very child-friendly and understand the “joys” of dining out with young children! They have good access and they are well signposted from the town. They have fine, white sand and signs to indicate the services they provide such as showers, foot washers, children's play area, rescue service, lifeguards, security and special areas for relaxation. Between each beach there are a number of coves where you can enjoy bathing and diving in a more peaceful environment. Torrevieja possesses some exceptional sea beds. From these beaches, you are within easy walking distance, all the way along the seafront, of the lively town centre of Torrevieja where you will find street markets, a marina and harbour, resident fun fair, buzzing nightlife and an extensive new promenade. There are restaurants and bars which cater for all tastes. The main meeting place in town is usually at the main fountain overlooking the beautiful marina, where you can enjoy a morning coffee or an evening cocktail or two! Every evening there's a street market selling a variety of arts, crafts, clothing, leather goods, jewellery and souvenirs etc.). There's also a big fairground and you'll normally find various artists and street performers providing entertainment around the town in high season. There is always something going on in Torrevieja around the holiday periods and there are numerous festivals and processions. One of the biggest festivals of the year is the "Habaneras" international music contest which takes place in August. Torrevieja swings for a week to the soulful rhythms of the melodies brought back from Latin America in the late nineteenth century when the town's salt trade with Cuba was at its peak. The festival attracts a live and television audience of hundreds of thousands of people. 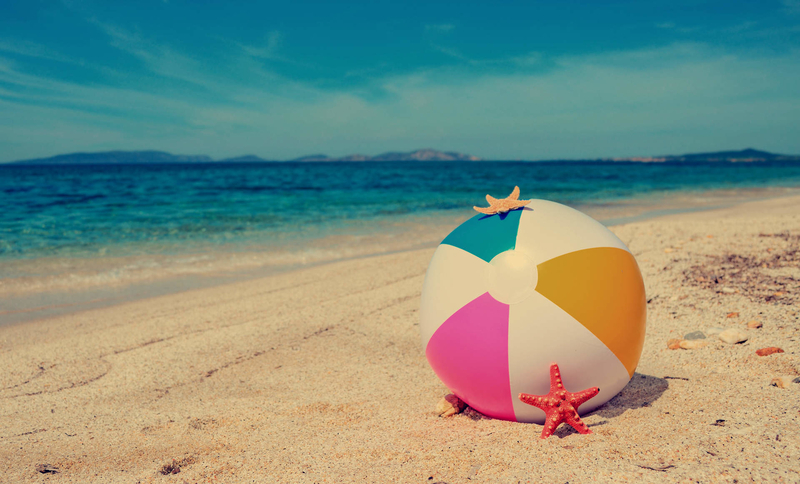 It's a great time to holiday here…but book your accommodation well in advance! Unlike many Spanish destinations Torrevieja is not a holiday area dominated by souvenir shops and bars offering all day English breakfasts. The town is still a working town with a history of salt production and an active fishing industry. Currently a comprehensive landscaping plan is underway which includes the construction of numerous parks, a health spa, safe bathing areas and coastal walkways. In the unlikely event of you not finding enough night life in Torrevieja, then why not head North, up the coast, to the 24 hour city of Benidorm. 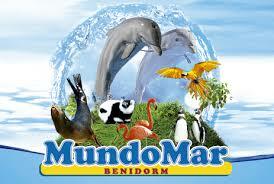 In Benidorm there's all night partying of every kind throughout the year. Whether you're into mega discos, the gay scene, karaoke or ballroom dancing, you'll find all this and much more in big, brash Benidorm! Why not experience a night in the famous night spot Benidorm Palace? Located to the south of Torrevieja, Orihuela Costa has some of the most superb beaches along the coastline, all of which are blue flag. There are well established residential areas from Los Altos and Punta Prima to Campoamor offering both residents and visitors an abundance of restaurants, bars and many other facilities within the many commercial centres, including Via Park in Playa Flamenca, the Emerald Isle in La Florida, The Plaza at Villamartin and the many commercial centers all the way up to Cabo Roig. Many superb championship golf courses are also in close proximity, including Villamartin, Campoamar, and Las Ramblas. In addition to the local entertainment there is horse-riding and various water sports available locally. Working your way north to south of Orihuela Costa, on the N332, we first come to Punta Prima and Los Altos. They are up and coming areas and although the local beach is a little more difficult to get to, there is work underway at the moment to create a Marina and broad walk. Many other Blue Flag beaches are within easy driving distance. La Florida is positioned slightly back from the beaches, but is well developed and home to both holidaymakers and residents. A popular complex is the Emerald Isle, which has a pool, bars and restaurant, competition-grade bowling green and many other recreational facilities available. Playa Flamenca is also well developed, with many ex-pats making it their home alongside the holidaymakers. It too has two commercial centres with many bars, restaurants and shops. 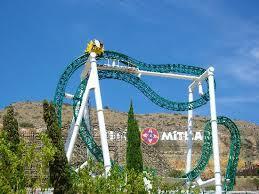 Villamartin remains a firm favourite and this is also a great area for family holidays. There is plenty to do in the Plaza, a lively place with over 30 shops, bars and restaurants. A good fun holiday for all ages, especially if you prefer a larger proportion of Brits and ex-pats. Further along the coast are La Zenia and Cabo Roig, both having beautiful beaches and lots of bars and restaurants within the local area, including a superb reataurant built into the Cliff at Cabo Roig, overlooking the small marina. Further along the coast and a little inland are the quieter, more residential areas of Campoamar and Campoverde. These are home to more traditional Spanish bars and restaurants to give you a real taste of Spain. The official language of Torrevieja is Castilian Spanish; although on some official signposts are also written in Valenciano which is the co-official language of the Valencian region. If you speak English you will be able to make yourself understood easily since most of the population speak this language. In Torrevieja more than 60 languages are spoken from all over the world, so that there will always be the opportunity to make yourself understood in some business or restaurant, or even walking along its lively streets. Zenia Boulevard opened on 25 September 2012, it is the largest shopping centre in the Alicante Province. The centre accommodates popular national, international and local brands such as the hypermarket Alcampo, which will also include a petrol station, Leroy Merlin, Decathlon, Norauto, Conforama, Casino del Mediterráneo, Tenpin Bowling, Primark, Inditex with Zara and their other trademarks, H&M, C&A, Deichmann, Guess, Geox, Swarovski, Punto Roma, Muerde la Pasta , Kiko, Druni, Marvimundo, Baby Center, and many others. Alcampo will also have an on-line sales service with the same prices as in the supermarket itself. It also offers a home delivery service or the possibility to pick it up at the hyper, where Alcampo staff will load and pack your shopping into your car in 5 minutes. Zenia Boulevard is conceived not only as a shopping centre, it’s also a meeting point, a leisure space, a life space. Torrevieja offers a wide range of leisure activities and night entertainment. You can choose between a variety of premises with different musical atmospheres and styles. In the area of La Punta there are more than 70 disco-pubs with a youthful atmosphere. Opening times are from 9 p.m. to 3.30 a.m in the morning. Entrance is usually free and prices range from 5 to 8 euros a drink. There is also a wide range of establishments with an Irish style in the areas next to the beaches in Los Náufragos, El Cura and Los Locos. In the Avenida de las Habaneras there are about a dozen "after-hour" establishments. These have an ultra-modern atmosphere and a closing time later than the rest - until 5 a.m. Torrevieja offers the opportunity to end the night in one of its numerous discotheques. These can be found in the Avenida de las Cortes Valencianas, the Avenida de Delfina Viudes and the Ozone leisure complex. The town's discotheques specialise in different styles of music, from "techno" to salsa. Closing times are at 5 a.m. in the winter and 6 a.m. in the summer. You can also visit the games and leisure complex "Ozone". This is situated on the CV 90 road exit to Madrid. This centre is more than 10,000 square metres in area, it offers restaurants, bowls, or view a newly released film at the 8 multi-screen cinema complex which benefits from the best sound and image technology in Europe. In the maritime boulevards - the Vista Alegre, de la Libertad and Juan Aparicio promenades - you can enjoy the best Alicante ice creams or any kind of drink on the more than 30 terraces alongside the Mediterranean sea. The maritime terraces are well-lit, they are wide and enjoy great popularity during the summer months as they are only a few metres away from the sea. In the town centre you can choose between other boldly designed night-time establishments which specialise in Caribbean, rock, jazz, samba, new age or American folk music. A typical local dish served in most of the Spanish restaurants is the "caldero" - a fish and rice stew popular with the "Torreviejenses" (the native Spaniards). The flavour of the sea permeates much of the local cuisine - try some fresh anchovy, red bream, freshly caught mackerel, rays and other local fish. And if it's an international flavour you're seeking, well, the world's your oyster! There are Italian, French, German, Chinese, Indian, Korean, Scandinavian, Croatian, Serbian and Mexican restaurants. After your meal, check out some of the bars which provide live music and entertainment throughout the summer months.